Charlene F. Gall 57 of Harrisburg passed away 6:48 PM Monday, October 1, 2018 at Harrisburg Medical Center. She was born in Harrisburg August 20, 1961 to Conrad and Betty Smith McGill and James and Evelyn Smith. She married David Gall on June 1, 1990 and he survives. She was Pentecostal by faith. Survivors include her Husband David, 1 son Nathaniel and Retisha Dowdy of Evansville, IN, 5 daughters; Leah McGinnis of Little Rock Arkansas and Terah & Billy Smith of Evansville, IN, Rebecca Martinez of Carrier Mills, LaDonna and David Fortunes of Tuckerman, AR and Jamie and Richard Buford of Newport, AR. 3 brothers; Gary Smith and Erin Smith both of Coralville, Iowa and James Smith of Morningsun, Iowa. 3 sisters; Pat Clements of McComb MS, Tracy Ackers of Cedar Rapids, Iowa, and Lucy pierce of LaFollette, Tennessee. 19 grandchildren and 4 great grandchildren. She was preceded in death by her parents, 1 brother Rick Smith and 1 sister Dewana Davis. Funeral services will be 1 PM Friday, October 5, 2018 at the J. M. Weirauch Funeral Home with the Rev. Phillip Fritts officiating and burial in Sunset Lawn Cemetery. Friends may call after 11 AM Friday, October 5, 2018 at the J. M. Weirauch Funeral Home. To send flowers or a remembrance gift to the family of Charlene F. Gall, please visit our Tribute Store. 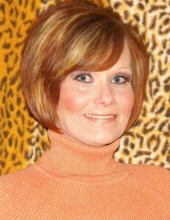 "Email Address" would like to share the life celebration of Charlene F. Gall. Click on the "link" to go to share a favorite memory or leave a condolence message for the family.